External forces can make cells undergo large, irreversible deformations. It emerges that stretched mammalian cells grown in vitro can enter a state called superelasticity, in which large, reversible deformations occur. Manuel Théry is at UMR 1160, Paris Diderot University, Saint-Louis Hospital, CEA, INSERM, AP-HP, 75010 Paris, France, and at UMR5168, University Grenoble-Alpes, BIG/LPCV, CEA, CNRS, INRA, Grenoble, France. Atef Asnacios is at UMR7057 CNRS, Paris Diderot University, MSC, 75205 Paris Cedex 13, France. In Rudyard Kipling’s classic children’s bedtime story1, the elephant’s elongated trunk arose because a crocodile grabbed “and pulled, and pulled, and pulled” on the nose of an elephant’s child. The elephant’s child escaped, but waited in vain for its nose to shrink back to normal. This scenario of an irreversible extension mirrors what happens in the laboratory when cells that are subject to external tension undergo major deformation. However, writing in Nature, Latorre et al.2 report that mammalian epithelial cells grown in vitro can, unexpectedly, demonstrate a mode of reversible, large-scale shape changes — a property termed superelasticity. When our skin gets cut, it breaks apart at the wound site. This is because the surface of skin, like that of most organs, is subjected to tension. This tension helps to limit the size and sculpt the shape of organs. Moreover, a cell can both generate and resist tension. In the cytoplasm, there are fibre-like elements of the cell’s structural ‘skeleton’, called cytoskeletal filaments, that can transmit force. The type of cytoskeletal filaments that form from the protein actin can be moved by myosin proteins to generate the contractile forces that regulate cell shape. Adhesion sites that join cells together can relay this force between cells and cause tension to build up throughout an entire tissue3. However, cells under tension do not usually tear apart, because their material properties enable them to resist this tension4,5. If cells under tension undergo small-scale deformations, the resulting changes are mainly elastic6, and a linear relationship exists between an increase in tension and an increase in deformation7,8. But in large-scale deformations, cells can enter a state termed plasticity, in which the breakage of bonds between cytoskeletal filaments leads to irreversible deformations that prevent full cellular recovery, even if the associated stress is released9. Latorre and colleagues describe a mechanism whereby cells under tension that undergo large-scale deformations change from being in an elastic state to enter a regime in which the cells elongate without requiring an increase in tension. Moreover, these deformations are reversible, indicating that cells can shift from an elastic state to what is called a superelastic state, and thus avoid entering a state of irreversible deformation. Why has superelasticity not been previously detected in living cells, despite decades of investigations into cellular properties? One explanation could be that the timescale matters10. In previous experiments, external forces have usually been applied for seconds or minutes8,11, whereas Latorre and colleagues studied changes that occurred over several hours. Cells subjected to rapidly increasing tension often rupture, even at low tension levels, in just a few minutes8, whereas even if the tension is 100 times higher, it can be resisted if cells stretch at their own rate, such as if they slowly spread out over a surface12. Latorre and colleagues grew monolayers of mammalian epithelial cells in vitro on a deformable substrate surface that enabled them to estimate the forces acting on the system. The authors exploited the ability of cells to pump water from the upper to the lower side of the cell (Fig. 1). This induced a build-up of water underneath the cells, generating pressure that caused a dome-like bulging of the cell layer under tension. Using microscopy and physical-modelling techniques, Latorre and co-workers precisely measured the tension in these cellular domes. 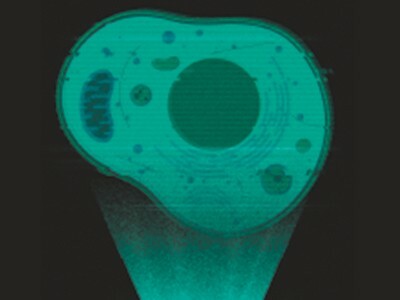 Figure 1 | Cells can exist in a state of superelasticity. a, Latorre et al.2 analysed the stretching of monolayers of mammalian epithelial cells grown in vitro on top of a layer of fibronectin protein (blue). These cells can pump water from the upper to the lower side of the cell (green arrows). This resulted in a build-up of water beneath a dome-like layer of cells. The water build-up generates pressure and puts the cells under tension. b, The tension caused some stretched cells to undergo small-scale elastic deformations in which there is a linear relationship between the increase in tension and the extent of cellular deformation. The authors unexpectedly discovered that some cells underwent large-scale deformations and entered a state of superelasticity, in which cellular deformation increases without requiring a corresponding increase in tension. c, As pressure inside the dome-like layer of cells rose, rupture eventually occurred as a result of the breakage of an adhesive junction between cells; water escaped through this breakage point. d, The cellular deformations were fully reversible, and the cells returned to their initial small size. The regularity of the curvature of the structures indicated constant tension, in which all of the cells experienced the same level of force. However, the uniformity of deformation was lost above a certain deformation threshold, and some cells in the domes became more stretched than others. The reason this occurred in only some cells was probably due to variability in cellular mechanical properties6,8, wherein some cells were more sensitive than others to external tension. The highly stretched cells had entered a state of superelasticity: they were no longer resistant to the tension and instead elongated under this constant force. It is as if the cells had transitioned towards ‘fluidization’ of their cytoskeletal filaments13; in other words, instead of behaving like a coiled spring that resists force, these cells entered a distinct mechanical state akin to the way in which a liquid flows. How do cells resist the application of force solely until a certain level of deformation is reached, yet after that point, transition to a state of superelasticity? One explanation could be the availability of actin. The pool of cellular actin is limited14, and each actin-based structure assembles itself at the expense of other potential such structures. When all cellular pools of actin are exhausted, actin-based structures can’t form any more. Latorre et al. focused on the cell cortex, a meshwork of actin filaments and myosin that forms a thin layer beneath the cell membrane. The authors measured cortex thickness, which is tightly coupled to the tension that the cortex is under15. Cortex thickness decreased with cellular stretching, suggesting that a sufficiently thick cortex might be required to enable cellular elasticity, and raising the possibility that, below a certain thickness, the cortex stops resisting tension and starts to ‘flow’. However, the authors could not identify a clear transition in the structure of the cortex between that found in an elastic or in a superelastic state. Perhaps finer details of the actin-network architecture are crucial for understanding the transition to superelasticity. The protein-mediated crosslinking of actin filaments ensures that components of the actin network are connected successfully, and that they function as a whole, rather than as numerous independent units16. It’s possible that, as the cortex thins during cell stretching, a point is reached when this network connectivity is lost, and disconnected parts of the network start separating, or ‘flowing apart’, under tension. If this is true, the density of actin-filament crosslinking proteins might be a key factor in the transition towards superelasticity. Moreover, the investigation of actin-network density and crosslinking during specific developmental stages might reveal whether superelastic deformations occur as tissues are being shaped during development. A cellular elongation process that does not require an increase in force for increased deformation will end when rupture occurs. Latorre and colleagues note that when the layer of cells ruptured, holes appeared between adjacent cells. Pressurized water inside the dome escaped through the rupture point, the dome collapsed and the superelastically stretched cells returned to their initial unstretched size. 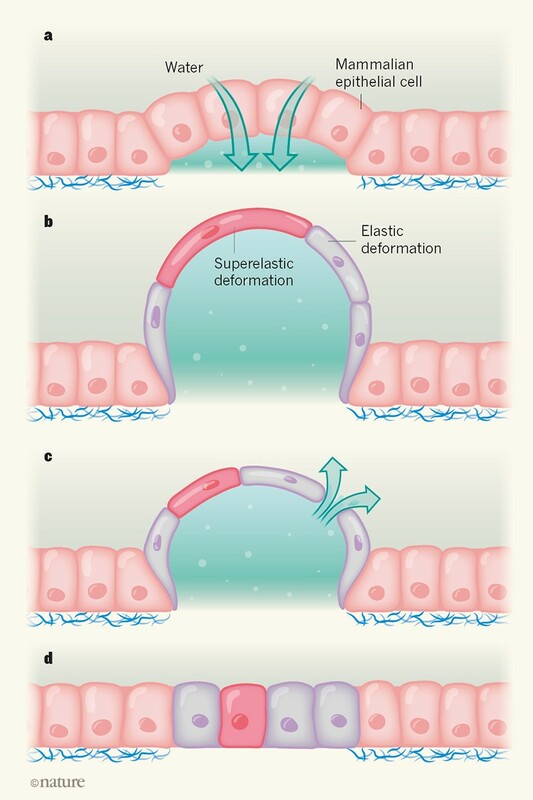 That the adhesive junctions joining cells, rather than the cells themselves, are the points of weakness, is consistent with observations of tissue rupture made using externally stretched cellular monolayers11. If the adhesive junctions had not ruptured in Latorre and colleagues’ experiments, would the individual cells have kept on elongating? Probably not. A type of cytoskeletal structure called an intermediate filament might have an effect in this type of scenario. Intermediate filaments have been under-studied in comparison with actin filaments because of their slow turnover dynamics and the absence of convenient experimental tools, such as drugs, that can disassemble them. However, their importance in cellular mechanics is gaining recognition17. Intermediate filaments make a substantial contribution to the elasticity of stretched cells18 and can support extensive levels of stretching19. These filaments typically form in a wheel-spoke-like architecture that connects the nucleus to junctions between epithelial cells20. This raised another question: might these filaments have a role in the resistance to tension at high strain that would allow cells to limit their deformation? Evidence directly supporting this possibility has been lacking. Latorre et al. 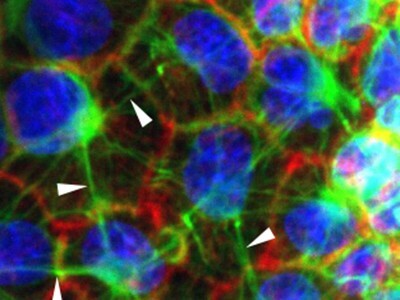 used a laser to cut bundles of intermediate filaments in stretched cells in a state of superelasticity, and found that this induced cellular relaxation — a release of stress and an elongation that increased the cellular area. This suggests that intermediate filaments might protect superelastic cells from undergoing an unlimited deformation by acting like springs that resist tension at high levels of deformation. In such circumstances, the ability of intermediate filaments to return to their usual length after being stretched might even enable such cells to recover their initial shape when tension is released. Latorre and colleagues’ work has revealed a more complex relationship between cell size and the forces that cells experience than was previously appreciated. Future studies should attempt to unravel the mechanisms that enable cells to enter a state of superelasticity and to recover from high levels of deformation. Now that we know cell shape is not an appropriate proxy for assessing cellular tension, it will be crucial to develop ways to accurately monitor tension levels in tissues, so as to better understand the factors that influence tissue shape. Kipling, R. Just So Stories (Macmillan, 1902). Latorre, E. et al. Nature 563, 203–208 (2018). Trepat, X. et al. Nature Phys. 5, 426–430 (2009). Fernández, P., Pullarkat, P. A. & Ott, A. Biophys. J. 90, 3796–3805 (2006). Gardel, M. L. et al. Proc. Natl. Acad. Sci. USA 103, 1762–1767 (2006). Fabry, B. et al. Phys. Rev. Lett. 87, 1–4 (2001). Lenormand, G., Millet, E., Fabry, B., Butler, J. P. & Fredberg, J. J. J. R. Soc. Interface 1, 91–97 (2004). Desprat, N., Richert, A., Simeon, J. & Asnacios, A. Biophys. J. 88, 2224–2233 (2005). Bonakdar, N. et al. Nature Mater. 15, 1090–1094 (2016). Webster, K. D., Ng, W. P. & Fletcher, D. Biophys. J. 107, 146–155 (2014). Harris, A. R. et al. Proc. Natl Acad. Sci. USA 109, 16449–16454 (2012). Mitrossilis, D. et al. Proc. Natl Acad. Sci. USA 106, 18243–18248 (2009). Trepat, X. et al. Nature 447, 592–595 (2007). Burke, T. A. et al. Curr. Biol. 24, 579–585 (2014). Chugh, P. et al. Nature Cell Biol. 19, 689–697 (2017). Ennomani, H. et al. Curr. Biol. 26, 616–626 (2016). Quinlan, R. A. et al. J. Cell Sci. 130, 3437–3445 (2017). Mendez, M. G., Restle, D. & Janmey, P. A. Biophys. J. 107, 314–323 (2014). Kreplak, L., Bär, H., Leterrier, J. F., Herrmann, H. & Aebi, U. J. Mol. Biol. 354, 569–577 (2005). Troyanovsky, S. M., Eshkind, L. G., Troyanovsky, R. B., Leube, R. E. & Franke, W. W. Cell 72, 561–574 (1993).